WAYNE COUNTY, Utah January 20, 2017 – The Office of the Utah Attorney General (OAG) and Wayne County Attorney’s Office (WCA) today announced the guilty pleas of four individuals to charges relating to tampering with and theft of dinosaur bones from Bureau of Land Management (BLM) lands in Wayne County, Utah in May 2015. “Utah’s archaeological and natural treasures contribute greatly to its beauty and allure and are an important part of what makes our state unique. This case demonstrates that anyone who illegally takes, tampers with, or disturbs our hidden treasures and natural resources will face criminal charges,” said Attorney General Sean Reyes. The individuals, all Texas residents, were in Utah as part of a geology expedition from McLennan Community College in Waco, Texas. Led by Philip Bukowski of Crawford, Texas, they entered Utah’s School and Institutional Trust Lands (SITLA) area, removed dinosaur bones and took them back to Texas. Additionally, the individuals were accused of damaging the area surrounding the dinosaur bones. Bureau of Land Management agents made successful efforts to locate and seize the dinosaur bones. 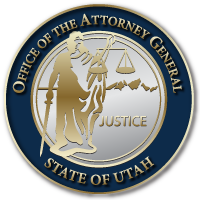 Today, before the Honorable Judge Wallace A. Lee, in the Sixth Judicial District Court in Loa, Utah, Philip Bukowski entered a guilty plea to one count Third Degree Felony Theft, Paige Bukowski entered a guilty plea to one count Class A Misdemeanor Theft, and Travis York entered a guilty plea to one count Class A Misdemeanor Criminal Mischief. The fourth defendant, Crystal Webster, entered an earlier plea to one count Class A Misdemeanor Theft. All pleas are held in abeyance until the court’s conditions are met, including a restitution order in the amount of $6,417.84. This entry was posted in Archived Posts, Recent Posts and tagged Dinosaur Bones, Wayne County on June 27, 2018 .